Goodbye winter and hello spring…for real, this time! I wrote “Goodbye winter and hello spring” as the first line of Life of Lauren, the March 2018 edition. However, winter wasn’t gone quite yet. We had some snow and ice come through the Toronto area for one last treacherous weekend. As May is now upon us, we’re having some more spring-like (and even summer-like!) weather around here, and I’m more than ready for it all. What were you up to this past month? 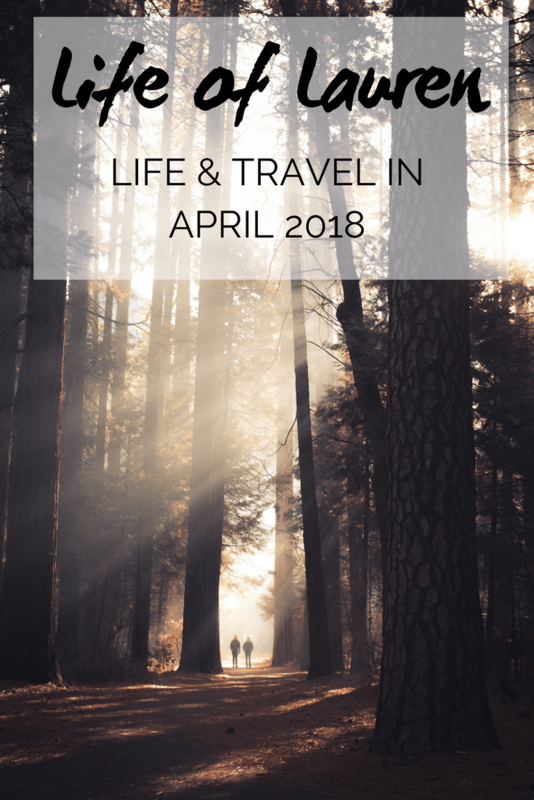 I decided to take a month off from travelling in April. I’ve been kinda go-go-go for much of January, February, and March with travelling, and I really just needed to take some time for myself. It was time to get caught up on blogging and planning our next adventures abroad. 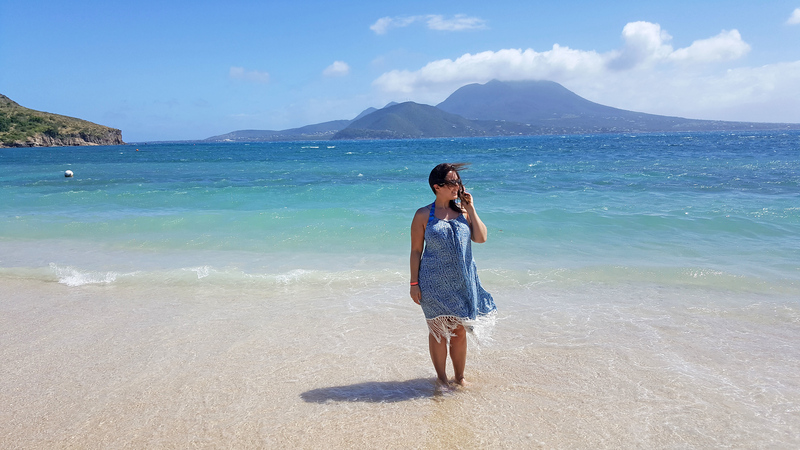 Although I wasn’t travelling, I was really busy editing photos and writing, mostly all about our Caribbean cruise in February. Now that I’ve finished blogging about the cruise, I’ll likely write about Copenhagen and Malmo with some other past travels in the mix. I still have lots to write about Ireland, our European trip last year, and even Iceland and Italy from 2016 and 2015, respectively (yikes!). May and June are busy travel months for us, so it’s nice to be at home for a while. I’ve also picked up some extra overtime shifts at work, which will translate into even more vacation days down the road. Woo! I wrote a couple of articles for other blogs that were published this month. For tripcentral.ca’s blog, I wrote an article about how to enjoy rainy days at a resort. Rainy days happen from time to time, and you may as well make the most of these days! I also penned a guest post for I Am Aileen’s blog demonstrating 10 things that foreigners need to know about Canada. Read on to find out more about the land of maple syrup and my personal experiences. Maybe I will even tell you a couple of things that you didn’t know? Travel Channel featured one of my Copenhagen pictures on their Instagram account, so that was an amazing surprise! I was also interviewed twice in April. One interview appeared on Wanderlust Vegans when they asked me about the most vegan friendly city I’ve visited. The second was a feature on Holistic Holiday at Sea’s blog as they wanted to know all about my experiences as winner of the vegan cruise. 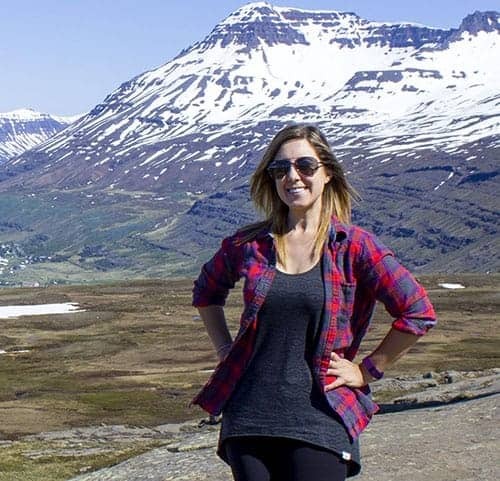 Lindsay and I got together on a few occasions and chatted for numerous hours online to launch our brand new travel community group, Inspire To Wander! 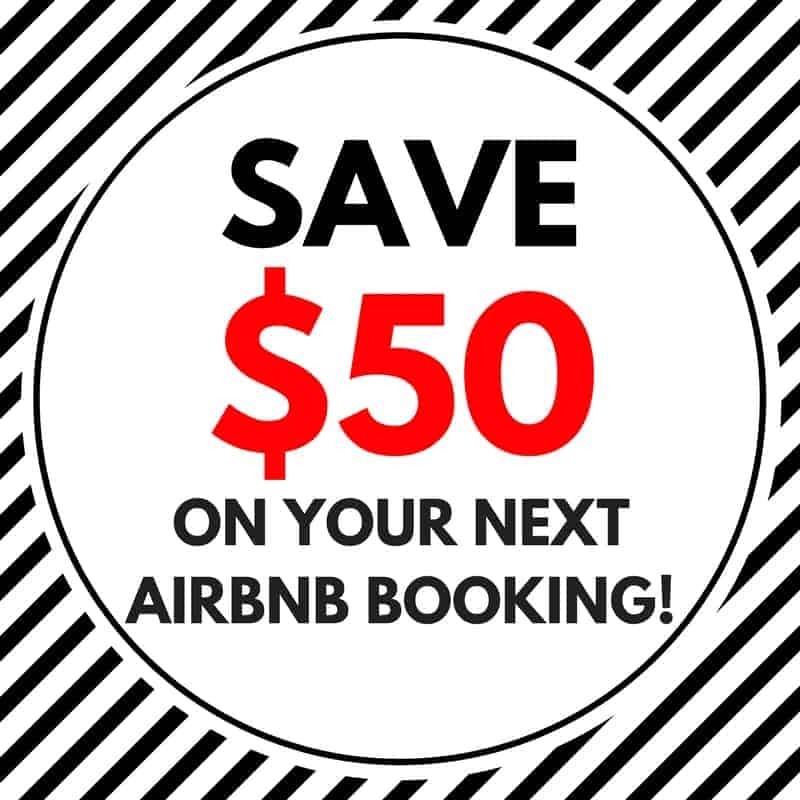 Our motto is, “Travel is for Everyone” because we want to inspire everyone to travel more often. As ITW is a travel group, we can’t wait to learn from the experience of our fellow members, too. You can read more about Inspire To Wander in my blog post, read more on the ITW website (coming soon! ), participate in our weekly Twitter chat every Tuesday at 9pm ET, be inspired by our photos on Instagram, and most importantly…join the group! In April, I went with Justin to see a movie that we’d both been eagerly anticipating – Ready Player One! So, a very long time ago, I read the book. Then, more recently, Justin read my copy of the book. And then, Justin lent the book to one of his best friends. All three of us went to see the film after reading the book and we loved it. If you didn’t read the book, you might not have enjoyed it as much, but we all thoroughly enjoyed nerding out. I finished watching the Netflix TV series, Dark. It’s a German supernatural drama that focuses on the interconnected relationships and secrets between the families of a small town. It’s a bit like Twin Peaks meets Stranger Things, but not really. It’s hard to define it because it’s pretty original. I really enjoyed it and can’t wait for a second season. Justin and I started watching the British crime series, Happy Valley, also on Netflix. My sister recommended this one to me, and we’re really loving it. It’s very suspenseful and keeps you on the edge of your seat. We’re still watching it right now, so no spoilers! Spending time in the sunshine and walking around Port Credit. Our neighbourhood is lovely in the springtime. Watching Justin play Fortnite. When he’s playing this game on PS4 with his friends, I can’t seem to look away. It’s super distracting, in the best way possible. Watching this game is just way too entertaining for me, for some reason. Interested in past months? 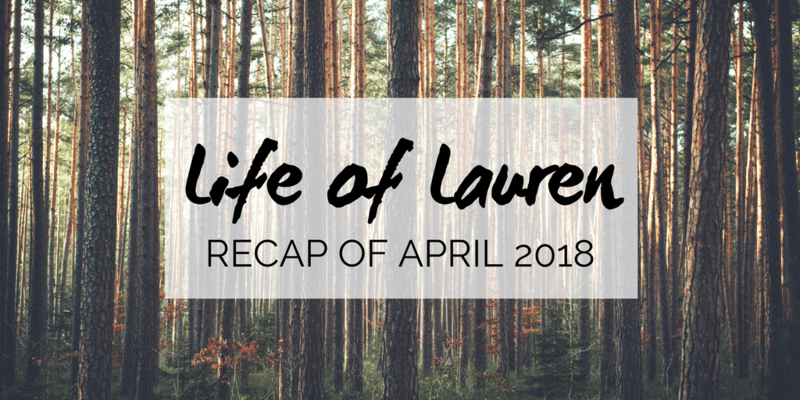 Read posts from the Life of Lauren series from February and March 2018.